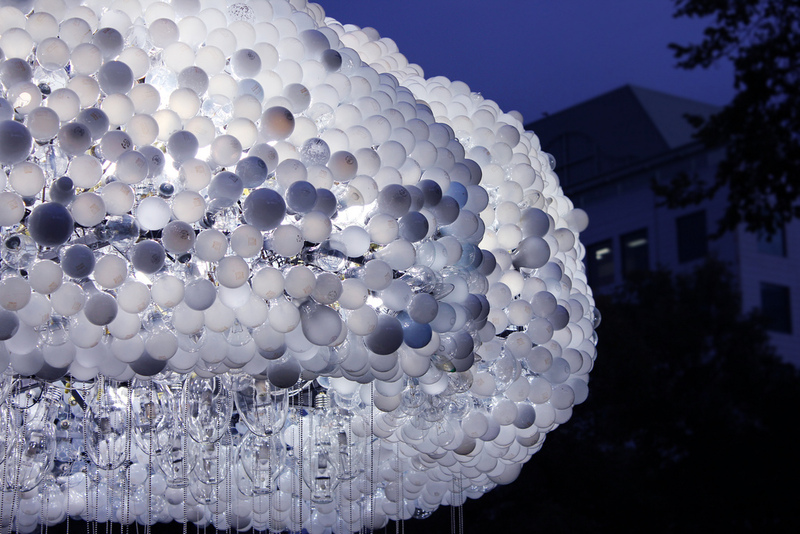 CLOUD is a large scale interactive installation by artist Caitlind r.c. Brown that appeared September 15th as part of Nuit Blanche Calgary in Alberta, Canada. 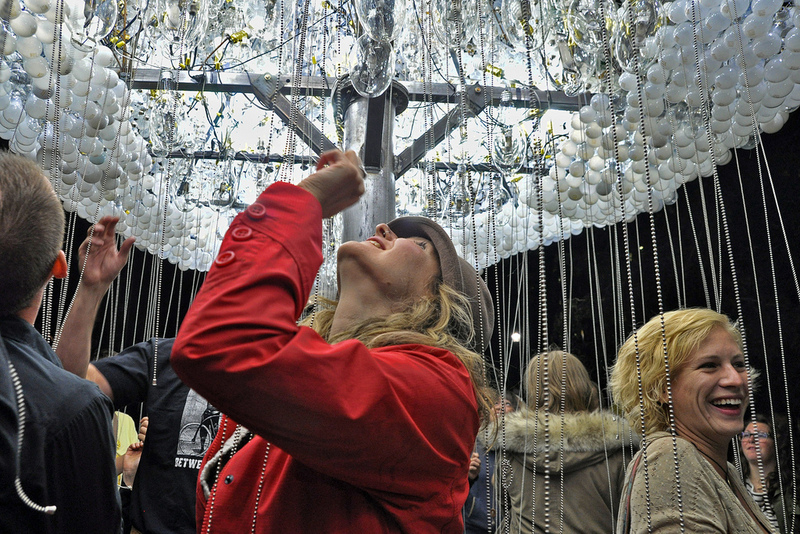 The piece is made from 1,000 working lightbulbs on pullchains and an additional 5,000 made from donated burnt out lights donated by the public. 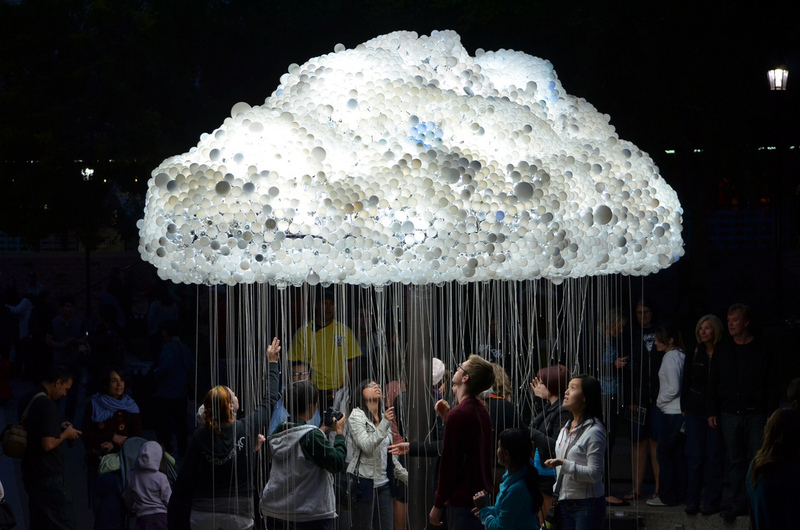 Visitors to the installation could pull the chains causing the cloud to sort of shimmer and flicker. I wonder if the power comes from solar energy?